The Office of Pre-College Programs seeks individuals who are self-motivated, dependable, capable of independent work and experienced in working with students in grades K-12 to fill these staff positions. The Office of Pre-College Programs does not discriminate on the basis of race, ethnicity, religion, sexual orientation or disability. We seek to hire a diverse staff of highly qualified individuals. Discovery Assistants work with students in grades K-9. Primary responsibilities include: assisting instructors with the development and implementation of course curriculum; assisting in the supervision of program participants during lunch and recreational activities; assisting in the supervision of participants in the Extended Care program; and designing and implementing educational/recreational activities in the Extended Care program. Weekly stipend and the opportunity to earn college credit. 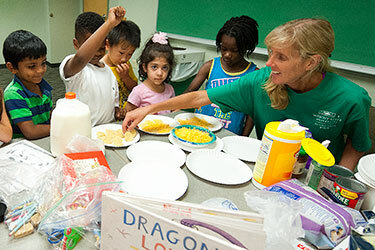 Residential Assistants/Tutor Counselors work with students in a residential program. Primary responsibilities include: supervising groups of students; monitoring the physical and emotional well-being of program participants; developing enrichment workshops; supervising learning communities; and enforcing university and program policies and procedures. Room/board, and weekly stipend. Program Instructors work with students of various grade levels depending on the program and course of study. Primary responsibilities include: developing course curriculum, and learning outcomes; schedule field trips and guest speakers as appropriate; and instruct course. Instructors should possess a valid teaching certificate, and/or 3-5 years experience in related field. For additional information, please contact us by email precollege@wright.edu.